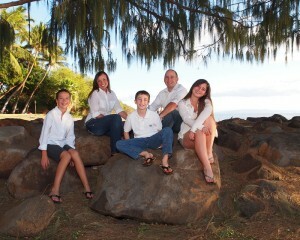 Maui family photography is our specialty. 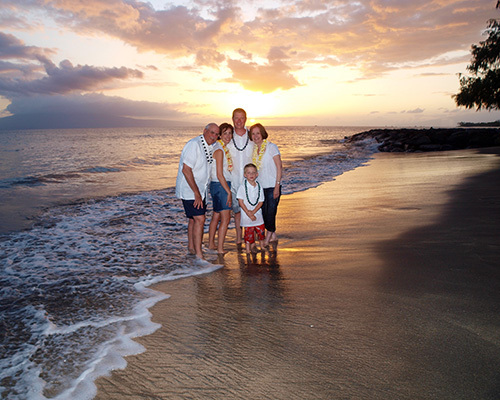 Taking advantage of the incredibly beautiful scenery around Maui, especially the beaches, at sunset, we create stunning, stand out images of your family, in the natural environment, which you will enjoy viewing for years and years to come. 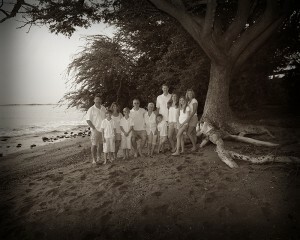 Whether a small family of just a few, or a large family, or family gathering, we provide you with family portraits on Maui from which you can make large prints to adorn your home, small prints for a family album, and even share on social media. 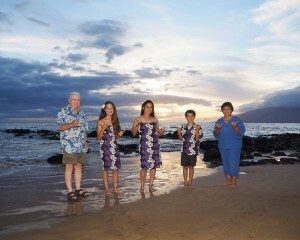 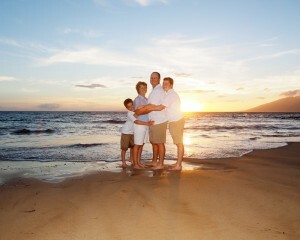 Maui family photography is an activity you can engage while here on vacation. 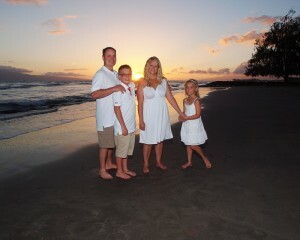 It takes about an hour, and it’s fun. 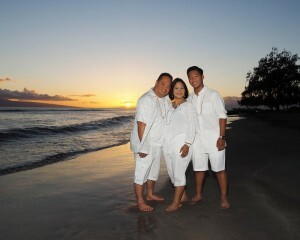 We spend some time at a delightful location, enjoying the scenery, and capturing images which you just can’t get with a cell phone camera! 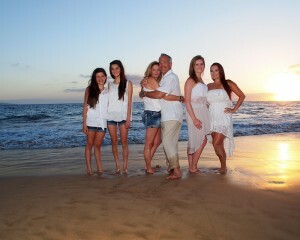 This site has a lot of information about our services, including wedding photography on Maui, romantic couples photography and individual portrait photography for senior pictures, corporate rosters or personal albums, and, of course, our specialty of Maui family photography. 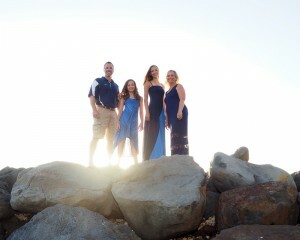 Check out our blog posts, or the frequently asked questions pages, our testimonials page, and for our very reasonable rates, check our our rates page, where you can also book your own personalized Maui family photography photo shoot activity.